Beginning January 2018, Starr Hill is donating 25¢ for every case of beer sold in Virginia of our top flagship brands. ForKids was born in Norfolk’s Ocean View neighborhood almost 30 years ago when parishioners at Holy Trinity Catholic Church discovered families coming to their food pantry were sleeping on church grounds and local beaches. Holy Trinity partnered with 12 other Ocean View churches to found “Homeless Haven,” incorporated in the City of Norfolk on May 16, 1988. The agency’s sole program, “an emergency shelter facility which will serve the homeless,” called Haven House, opened the very next year on D View Avenue and still provides assistance for over 200 people each year. Today, ForKids is one of the largest providers for homeless families in Virginia, touching over 47,500 lives annually through its holistic housing programs and extended services for families. 100% of proceeds from every shirt sold are donated to No Kid Hungry, via Custom Ink. sold across all of Starr Hill’s markets throughout Virginia. in donations to local charities in 2018. 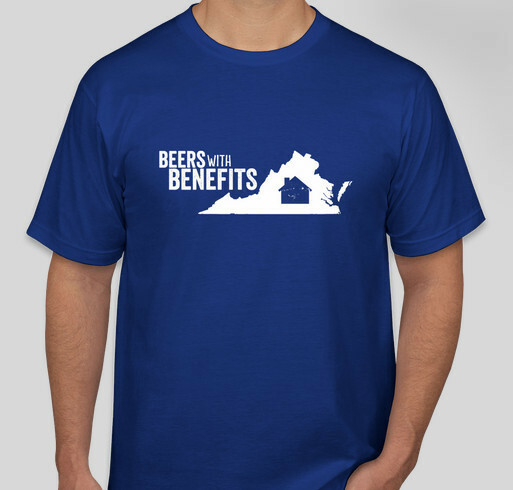 Crozet-based Tap Room’s Cheers for Charity program. to dozens of non-profit organizations based in Central Virginia.